So why do I love peas???? Why did the tomato blush??? What do you call an angry pea??? If peas only knew what joy they bring on so many levels. Maybe they do? LOL! These packages are great. I can see why you want to sketch and paint them. Fabulous! 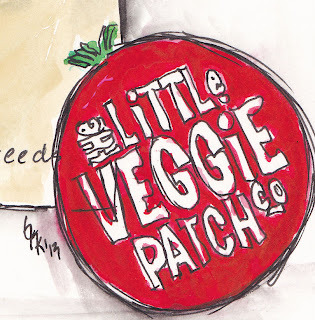 I'm loving your veggie packet paintings. When you mentioned peas, childhood and the dinner table I was immediately reminded of one on my siblings having to go to the hospital to get a pea dislodged from the nose. Ah memories. My sense of humor roared at giant snot! Love your writing. We had peas for dinner and I'll be planting them in my garden this weekend. They're so versatile, even in art. Thanks for sharing, I always love seeing what you come up with. I have been reading your blog for a while now but never commented. Just wanted to let you know that you always bring a smile to me and often a laugh. Thank You for sharing a little of yourself. 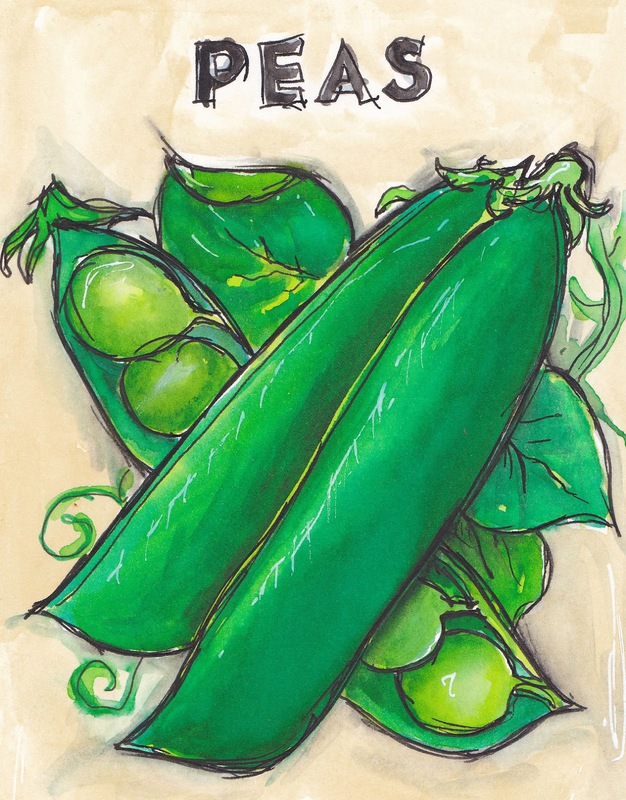 Calef Brown has this little poem that we just love, and your peas brought it to mind: "Peas peak out of a pod... the ponder, they whisper, the nod... everything is new, the sky's a dazzling blue... peas peek out of a pod." Got to love 'em! You have accomplished amazing form with these peas... those subtle shadows and highlights on the pod makes fabulous indentations and bulges. You are too funny!!! You made me think of all the Pea/Pee jokes my sisters and my daughter told. And now my 3 nieces can't say the word pea/pee with out giggling. Thanks for the warm and fuzzy memories! What a fun post and I must say I love fresh peas! We eat bags and bags of them when they're in season!It's ones of Cupcakes favorite snacks! 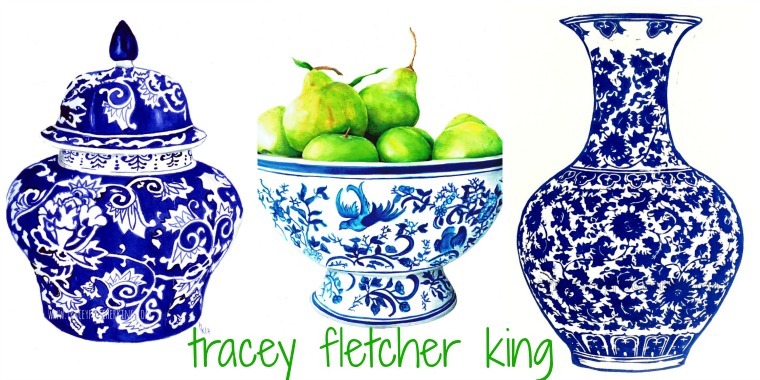 As for your stunning package...wow I love how it pops, I can see this as a wonderful set of prints for kitchens!! As always your humour is delightful!! Giant bogey-side dish! Wonderful how our memory works. Suddenly you are transferred to a different time and place and enjoy (maybe) long forgotten incidents in your life. Wow it must be "laugh a minute" in your house. Love your humour and the artwork. more peas please......you always make me smile:) thanks!! Those peas look so fresh and delicious. 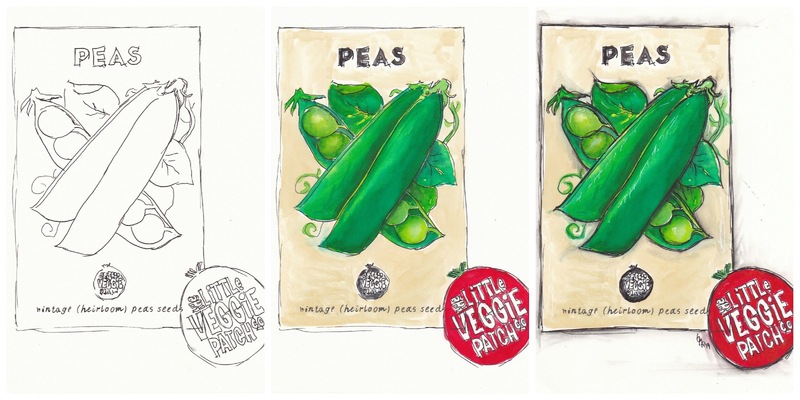 They remind me of sitting with my mother shelling peas fresh from the garden - and that just brings to mind going to the local farm to spend the holidays pea-picking for quite good pay when I was 12 to 15, and my mum would come as well. Now I'm fully with Phantom about loving childish jokes, and as I am in my second childhood I can add to her store with a silly joke my sister and I still laugh at whenever the moment arises with a spelling - 'The P is silent, as in bath'. 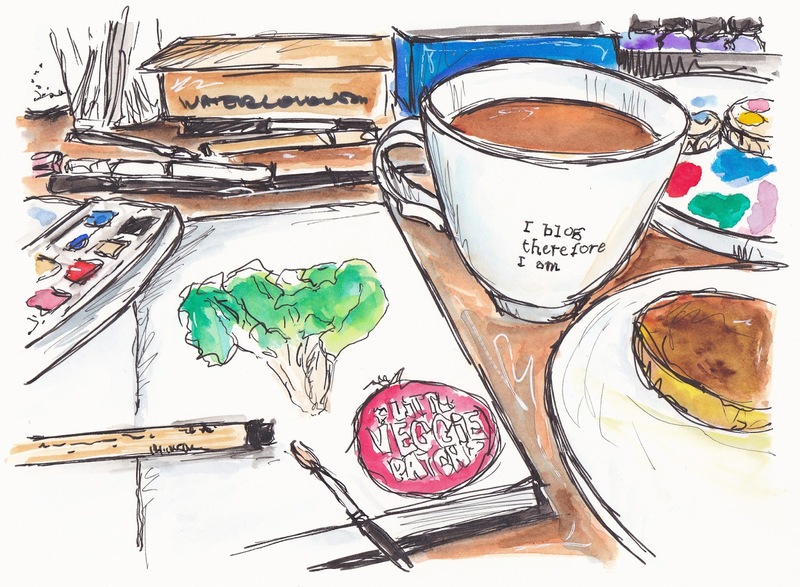 I can't think of a better way to start my morning than reading your whimsical posts and seeing your gorgeous artwork. I also have fond memories of my youngest daughter picking up peas with her tiny baby fingers, eating one at a time, and sharing some with our dog who sat patiently waiting next to her high chair. Blessings! Peas! Truly one of Nature's funnest vegetables. I'm loving these veggie packet illustrations and I loved that Smiths song - it's ruined for me now!! All the juvenile pea/pee jokes reminded me of a teenage gameshow we had call Blockbusters where the contestants had to pick a letter to answer a question - every week without fail some nerdy bloke would smile smugly and say 'Can I have a pee please Bob?' ah the old ones!! love your peas Tracey, vibrant green they are! that is my kind of fun...elementary, my dear watson...i'll look forward to her book for my grandkidlets!...always on the look out for juvenile jokes to share with my own phantom...we have a similar family thing about beans...how have you bean? and of course, you already know we have balls in common...xoxo happy phantom's mothers day dearest...love your packaging paintings...i'm getting my garden ready later today and i'll have to see how mine look! Humor is an important element in any meal. I can't wait to serve peas again, maybe on Mother's Day with my 30 yo son, so he can shake his head at how little I've matured since he was 12. The shades greens you've captures are amazing. I love the humor you bring to your posts! The pea pod illustrations are wonderful! They look so crisp and fresh. There was just me and my sister when I was little, and, sadly, my mom was not one for any hijinks at the dinner table. 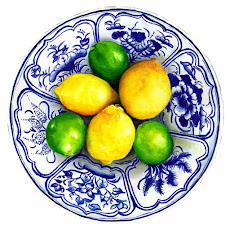 Plus, my sister refused to eat any vegetables, at all, until she was well into her twenties. So peas did not have a prominent part in my childhood. However, I have no control over my own family's dinner time behavior. We once spent an entire dinner making up alternate versions of "Beans, beans, a wonderful fruit..."
As you can see, we are very high-minded, what with all the poetry at the dinner table! Love the peas packet, Tracey. I had to go back to see the previous post of silver beet, which I have never heard of. I will google it later to make sure I know if it is beet leaves or not. Phantom's photo is fabulous. So I skipped backwards for several days to see all your wonderful works..
Love the whimsy in words and paint. 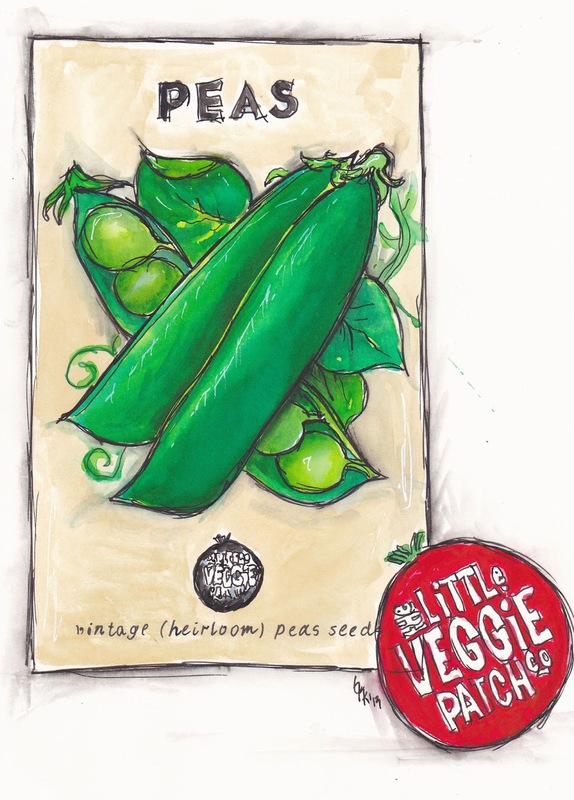 Those peas have such stories to tell and you told them with great gusto. Had a fun read. Thanks for sharing. The boys and I were trying to come up with clever and relevant joke for you but we couldn't think of anything! I especially love those peas. Really great work!! My dad used to say, "Eat every bean and pea on your plate. . ."
Ha HA - a laugh a minute!! I love peas too and so does my yorkie Kenya! We open each pod for her and she then runs off with it to eat her peas! Your ideas are always really really cool and so funny! I laughed so much about your peas-story and yes: Sadly we grow up and that stage passes too quickly ... I am so glad that your funny thoughts did not pass up to now :) And I love your beautiful peas-poster too! The color combination and the whole picture looks amazing! Gee, and I just had to leave peas and mushrooms out of my tuna casserole because so many people dislike them and I was cooking for a potluck! Great drawings and fun verbiage! Oh, I just looked that up and I didn't mean to say "too much said" only well said!